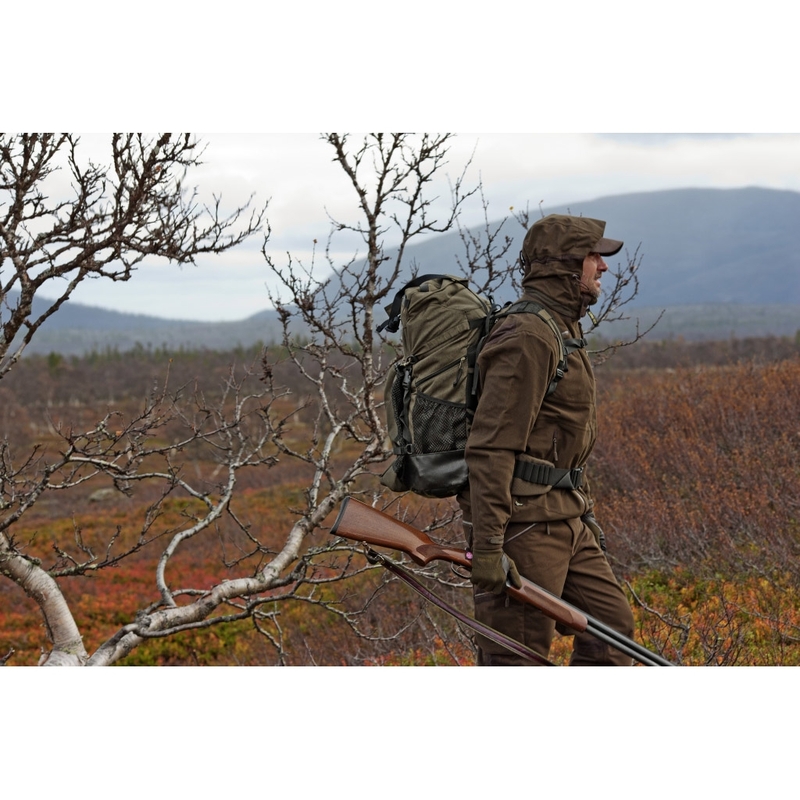 Bearhunter Rucksack Chair in PU coated Ripstop. Unfortunately i have to give this a very poor rating, I own and use alot of Harkila gear and this is buy far the worst i have ever had. The clips are weak and prone to braking the shoulder straps have broken even though they were not carrying much weight.. the chair is uncomfortable and badly designed as well as weiging far more then is nessasary. and the bag is in Not water resistant in the slightest. This rucksack is a very high quality item. It does everything it should very well indeed. 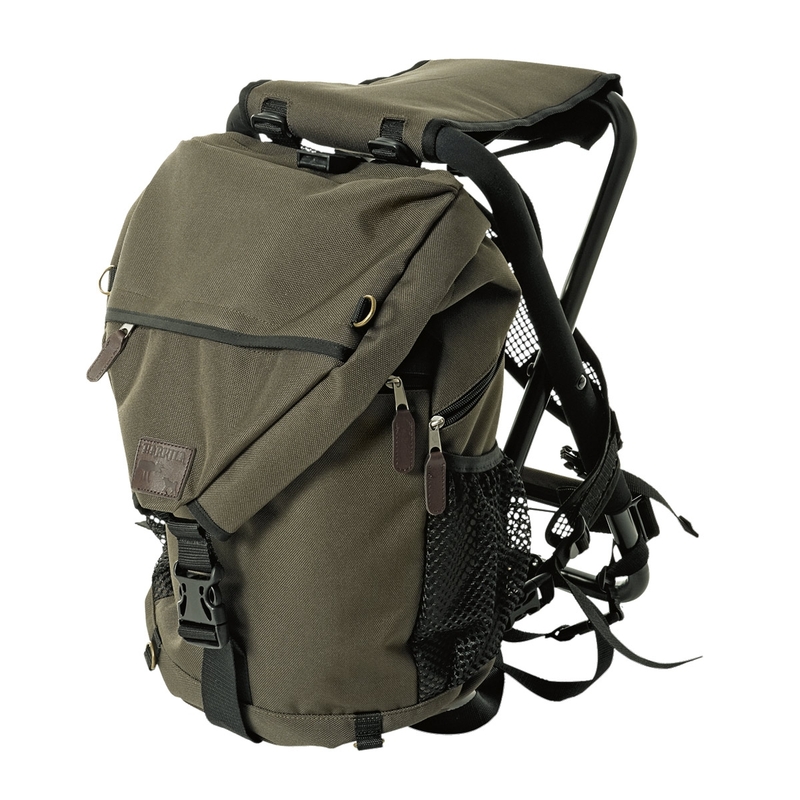 It is very well constructed and I get the impression that the workmanship and materials will combine to give it a long and reliable life.If I was to be in any way critical I would say that the chair was a bit on the heavy side however the ergonomic design of the rucksack means that the weight isnt felt at all when worn. It is actually very comfortable to carry.I am really pleased with this item.